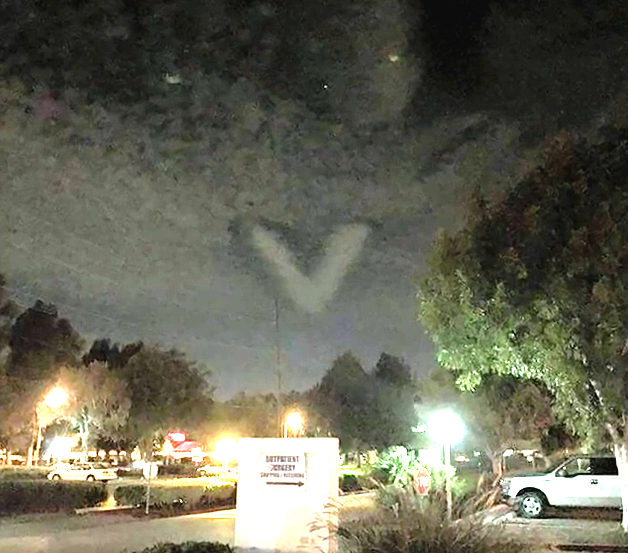 UFO SIGHTINGS DAILY: UFO Cloud Shaped V, Formation During Harvest Moon Eclipse, Carson California, Sept 27, 2015, UFO Sighting News. 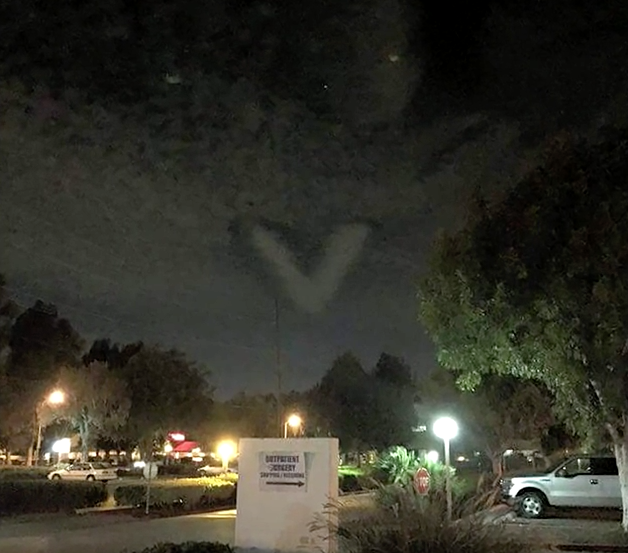 UFO Cloud Shaped V, Formation During Harvest Moon Eclipse, Carson California, Sept 27, 2015, UFO Sighting News. Bizarre! V-shaped cloud in the form of training courses, after harvest, Lunar Eclipse tonight. I've never seen anything like that before, so I took pictures. Others and I have witnessed the formation of clouds, could not explain how it was formed. It was a strange cloud formation, especially how it kept its perfect form for about 35 min. there were other clouds in the sky tonight, but none had this shape as it was.